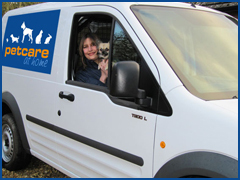 We’re a team of animal care and business professionals based in Dorset. We’re not a franchise which means we can develop and extend our services to meet the exact needs of our Dorset based clients. Our team includes . . .
We’re focused on delivering excellence and a local caring service at an affordable price. We also aim to complement any existing arrangements you have with your current vets. Sarra set up the business with Martina in 2009 having worked with animals for 12 years. She has vast experience in dealing with a variety of animals from dogs and cats to cows and pigs. She is a Registered Veterinary Nurse and Level 3 Dog Groomer and is continuing to train and improve her skills in these areas. She is also qualified to microchip and has her SQP qualification which allows her to dispense wormers and flea treatments. 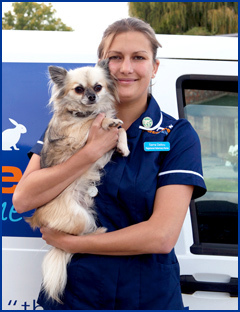 Sarra has been Veterinary Nursing for 6 years and still locum nurses in Veterinary Practices. Sarra has 5 dogs :- Bud (Terrier) Gizmo (Papillon x Yorkie) Zoe (GSD) Hughie (long haired Chihuahua) Rudy (Labrador Retriever) and a budgie called Winston ! Martina set up the business with Sarra in 2009 she has had animals for years and has a wealth of experience. She has also completed her Level 2 certificate in Dog Grooming. She currently has 5 dogs :- Maggie (Long haired Chihuahua) Mutley (Pug x Bichon) Coco (Shih Tzu x JRT) and 2 Irish Wolfhounds Fizz and Pop. Kelly is an experienced self employed equine specialist & "Pet Carer" who as of 2013 will be offering her services to Petcare Professionals clients for horse sitting & consultations, dog walking and Wedding Petcare. She has nearly 15 years experience working with horses, dogs and a variety of other species. Her qualifications include a BSc (hons) degree in Equine Breeding & Stud Management also being a certified Artificial Insemination Technician. 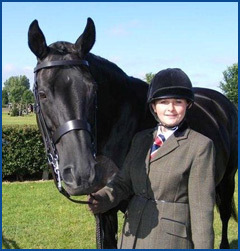 She has worked in a variety of roles within the equine industry but most recently spent 4 years as the Manager of a top class competition horse stud. Kelly shares her home with 2 dogs & is currently training her pony, who she rescued in 2012. 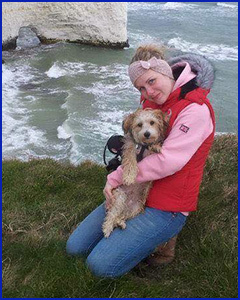 Anna joined us in the summer of 2015 and its great to have her as part of our team at Petcare Professionals. 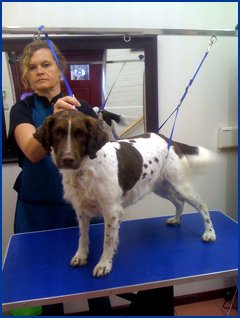 She has achieved the following qualifications with a view to do more advanced grooming qualifications in the future. She moved from Hungary in 2011 with her husband Richard. She has always had a love for animals especially dogs!